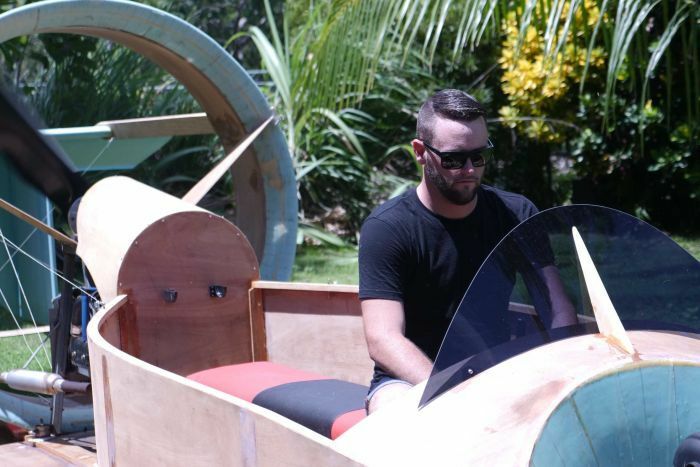 A homemade hovercraft has left bystanders stunned and drawn international attention to the work of a Top End pilot. Since being posted on ABC Darwin’s Facebook page just over a week ago, video of James Greenberger’s test flight has been watched more than 939,000 times and attracted thousands of comments. “It’s been a huge response,” he said. Mr Greenberger has also gained the respect of the hovercraft hobbyist community. Mr Greenberger, who is also a commercial pilot in the NT, said he got the idea of building hovercrafts after developing a love of aviation at an early age. “I just love anything that flies,” he said. But it was a while before he could start building his dream. “I just remember, back when I was 12, I wanted to build this hovercraft called a Pegasus. It was just a round, plywood disk with a lawn mower engine,” he said. But on a recent sunny Saturday morning in Darwin, Mr Greenberger saw one of his biggest projects take flight — and there were plenty of people out on Darwin’s coastline to witness it. Many of them took to social media to express their reaction to the sight. 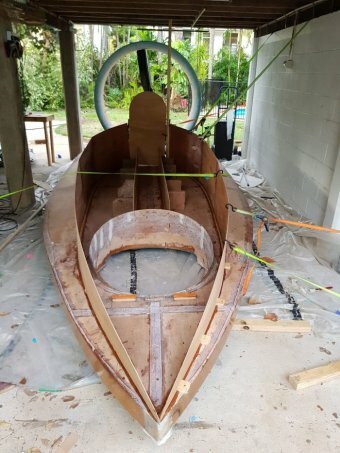 Built piece-by-piece from 2D technical drawings in his carport and at the Palmerston Men’s Shed during the humid Top End wet season, Mr Greenberger’s project needed a lot of workshopping and hand crafting over the past 11 months. “I had to learn how to fibreglass, which I hadn’t done before,” Mr Greenberger said. Although there were hurdles in the construction phase, the pilot had little trouble getting his creation out on the water, due largely to the Northern Territory’s maritime regulations. “On the testing day, there were two police watching it all unfold, and by the time I was ready for the test there were eight officers up there,” he said. “I did approach them and make sure they were fine with everything and they said they were just Snapchatting to their friends. “It is a watercraft, it is classified as a boat. Darwin doesn’t require registration for boats and they also don’t require boat licences. The Civil Aviation Safety Authority said it did not regulate hovercraft because they were not considered aircraft. Mr Greenberger’s said his partner, however, might have something to say about his new transport. “It’s been a little difficult but she understood,” Mr Greenberger said. Mr Greenberger said he intended to give the hovercraft a fresh coat of pain and get it back out on the water. “Once it gets a nice paint job I’ve got many hours of further testing and then off to go fishing in the Top End on it,” he said.